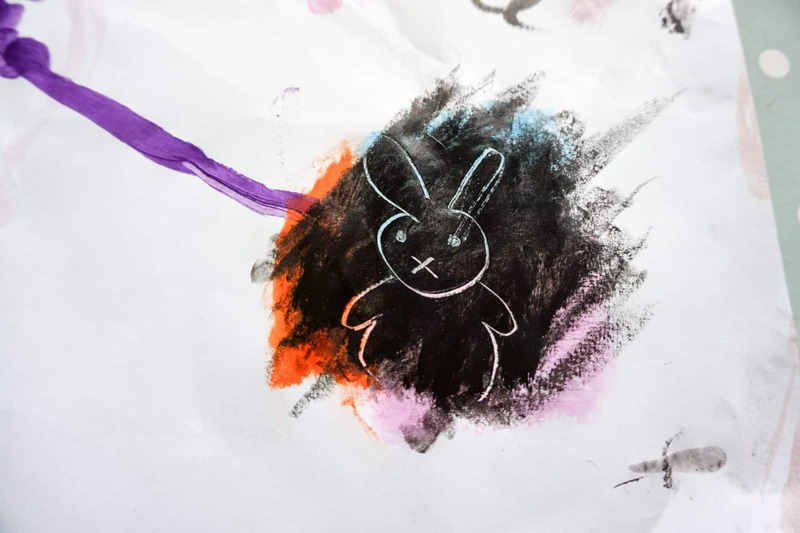 I discovered Little Brian at The Toy Show, they had a display of their paint sticks and some paper to experiment with so I had a go and thought they were brilliant – all the fun of paint with non of the mess! A couple of weeks ago we were sent a pack of the Paint Sticks to play with and they’re a big hit! 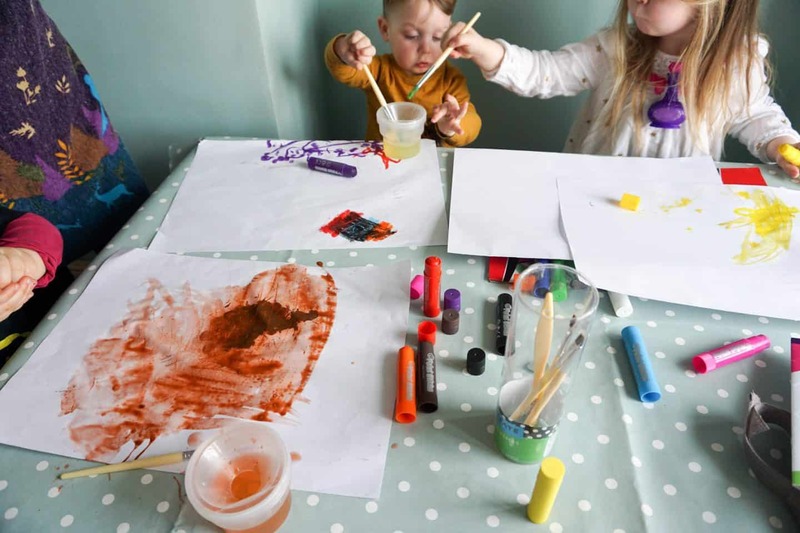 We first got them out when we had a friend over to play, and her mum is an artist so got stuck in too, we had loads of fun experimenting. 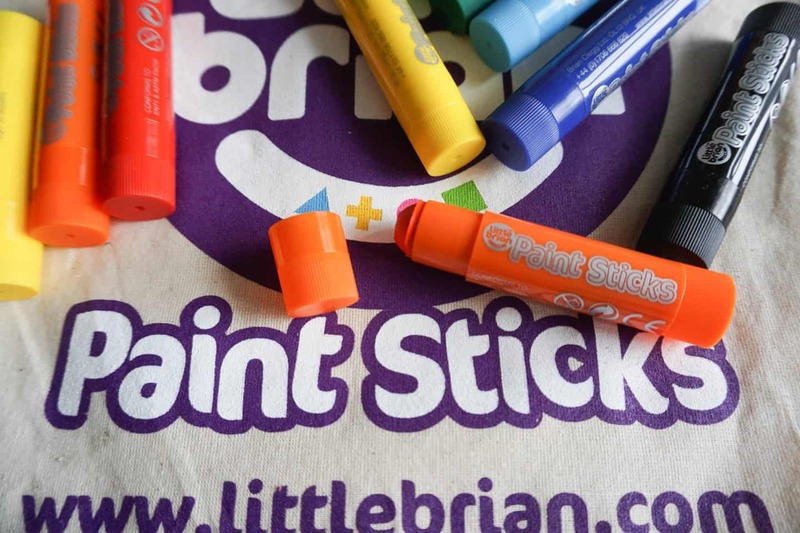 What are Little Brian Paintsticks? Paint sticks are basically paint in solid form; they come in a twist up tube like glue does but are not sticky and dry in 60 seconds. They are non toxic and washable, although I’ve not had to wash any off the kids clothes yet as they’re basically mess free so can’t comment on how well they wash out! Although marketed from age 3 and up as long as you keep the lids out of a smaller child’s reach they’re fine, Arlo definitely loves them at almost 2! I think they would make a brilliant birthday present for any kid from two upwards actually! 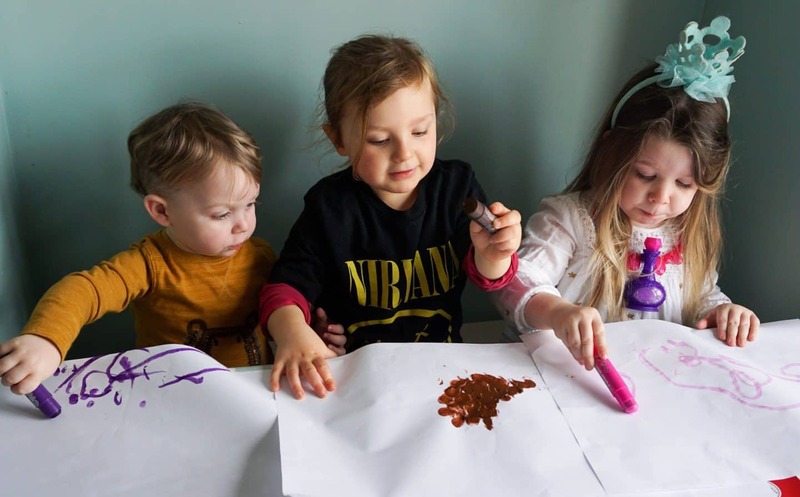 Together we made pictures on paper, cardboard and quite often just right onto the oilcloth tablecloth! They also work on glass would be great fun on a white fridge door too, although ours is black so only the white one shows up well! Each paint stick has enough paint in it to completely cover an A3 sheet of paper three times over, so they will last a long time, and can of course be easily stored away with no clean up needed! Paintings don’t need to be hung up to dry and you don’t need to rinse out paint pots and brushes! It comes off skin with a quick swipe of a baby wipe or damp cloth, which means great for travelling too, no spill factor! Use a wet paint brush to create a water colour effect. This is a great way to create different colour intensity and new colours by mixing them together. Athena wasn’t interested when I tried to explain about all colours being made from primary colours, she was just happy painting away! Paint some colours on your paper, leave a minute to dry and then cover over with black. When the black is dry scrape a picture into in and see the colours below! You can use the edge of the paint stick to do this, or a teaspoon or something else that’s not sharp! 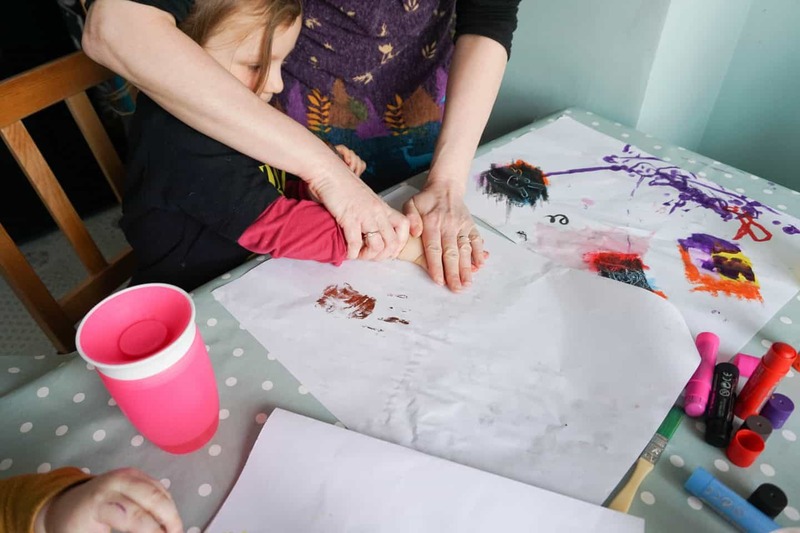 Paint hands, fingers & feet to create all sorts of prints! 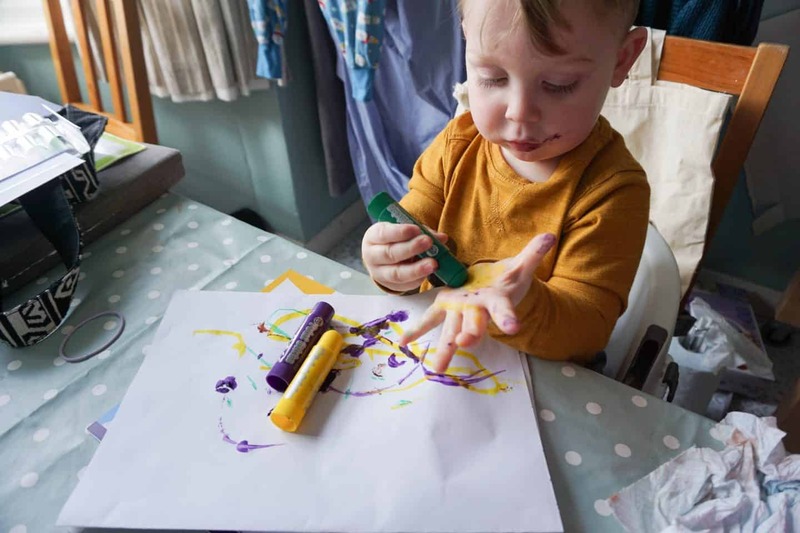 Arlo discovered this one all by himself, he plastered his hand (and some of his face) with colours and then started printing onto the paper. 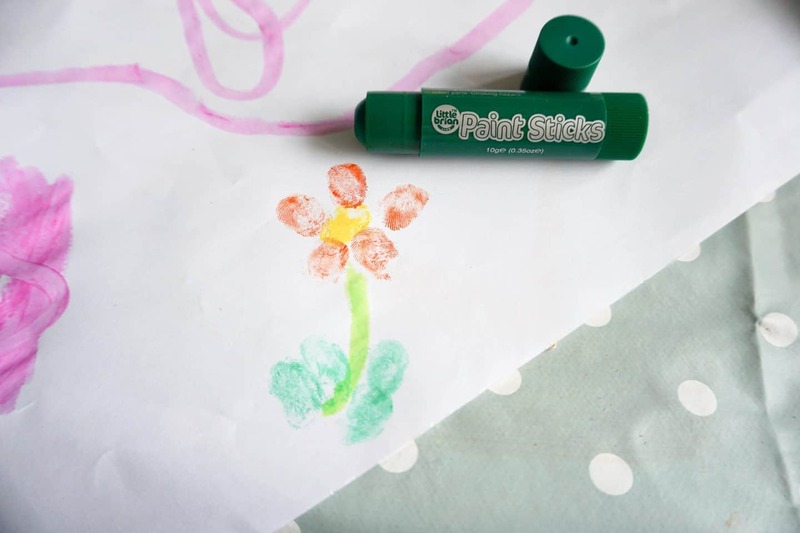 You can also do finger print art this way too! Great for homemade cards at Christmas and birthdays! You can view the full range here on Amazon, and they’ll be available at Asda soon too! We were sent a selection of Paint Sticks to get arty with, all words and opinions are my own. Post contains affiliate links. getting a big A5 piece of paper and let her imagination take hold! My girls love making collages and printing at the moment! My son loves all arts, especially messy ones! My youngest loves making. Using paints, drawing, sewing, theres no medium he disklikes. My eldest likes draing, occasionally he will paint. Oh how clever are they! Amy would LOVE them! My son’s favourite art’s and crafts activity is painting. We love sticking and gluing and making models. To be honest he’s not big into it yet which is a real shame as I used to love it when I was his age and still do! Maybe these new paintsticks would encourage him to get more creative. Anything involving lots of glue! Paper plates and magazines. Use with glue and paint! W loves anything glittery and gluey & T loves anything outdoorsy like building birdhouses etc. We like to play match craft gluing and painting. Plus it’s really cheap. We love finger painting and making cards. We do like painting and drawing and have now gone onto the figure shapes made from card (for making cards etc), so we are now dressing them up. My daughter absolutely loves painting, drawing and colouring, so these would be perfect for her! 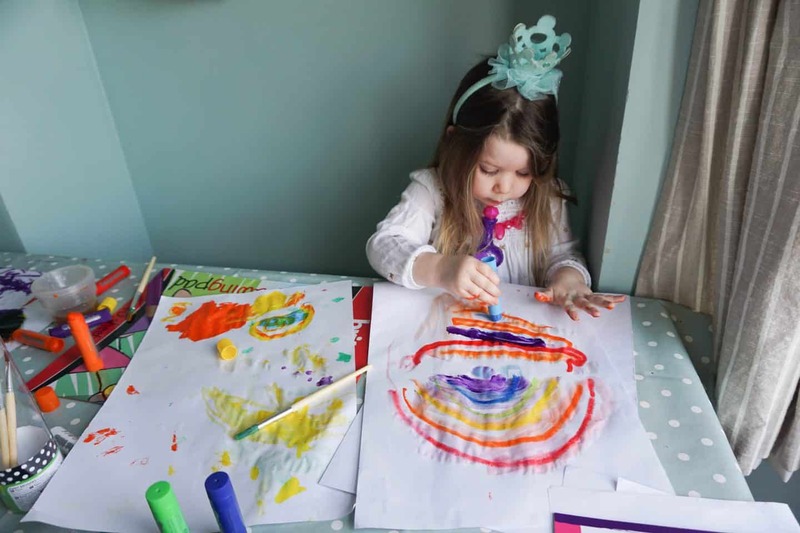 my great niece loves painting, drawing, making things and learning new crafts. My son loves junk modelling and decorating them.